Far in advance of the estimated January 1st 2013 launch, the United States Patent and Trademark Office (USPTO) and the European Patent Office (EPO) recently published a new classification system meant to speed the patent granting process for applicants to both Offices. The Cooperative Patent Classification (CPC) system and finalized CPC definitions are now available. The CPC is a joint USPTO-EPO project aimed at developing a common classification system for technical documents in particular patent publications, which will be used by both offices in the patent granting process. Detailed information about the new classification system, including downloadable sections, CPC definitions and concordances, can be found at the official CPC website. The U.S. Department of Commerce’s United States Patent and Trademark Office (USPTO) announced in September that it is taking further steps to implement the most significant reform of the U.S. patent system in more than a century, and is asking the public for comments. The Office published a Notice of Proposed Rulemaking (NPRM) in the Federal Register on Thursday, September 6, 2012, seeking public input on proposed patent fees, including reductions to fees for new procedures and programs created by the broadly bipartisan Leahy-Smith America Invents Act (AIA) that allow robust reviews of issued patents, and provides discounts to individual inventors and small businesses. Fees are currently set by statute. The AIA directed the USPTO to set these fees on a cost-recovery basis and to seek public and stakeholder input in setting those fees, a change widely supported by businesses, entrepreneurs, and educational institutions. The proposed fees are at least 22 percent lower for a routine patent process—i.e., filing, search, examination, publication, and issue fees—than the current fee schedule. The current proposed fees also are lower than those originally proposed by the USPTO in February 2012. The Office acted on extensive public feedback solicited in writing and at public hearings held by the Patent Public Advisory Committee in Alexandria, Virginia, and Sunnyvale, California. With the publication of the NPRM, the USPTO opened a 60-day comment period (through November 6th, 2012) in which the public can provide input on the latest proposal. Following the comment period, the Office will prepare the final fee-setting rule, which would go into effect no less than 45 days after it is published in the Federal Register. Further information about the NPRM for proposed fees may be found at: http://www.uspto.gov/aia_implementation/Proposed_Fee_Schedule.pdf. The proposed fees continue to keep the cost of entry into the patent system low, making it easier for innovators to acquire venture capital, begin hiring, and moving their goods and services to market. The proposed fees also will enable the USPTO to implement a discounted fee structure that provides 75% savings on many patent fees for micro entities, primarily individual inventors and small entrepreneurial ventures. Also included in the proposed fees is an expansion of the existing 50% discount for small entities. 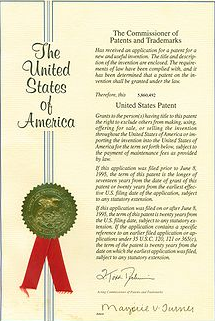 The AIA granted the Office fee-setting authority in order to give it the ability to set fees that reflect the costs of the services it provides, while ensuring it has the financial resources needed to reduce the backlog of unreviewed patent applications, reduce patent pendency, and perform its core missions efficiently. This new authority was widely supported across the business, innovation, and education communities. New rules and procedures mandated under the AIA went into effect on September 16, 2012, including three new administrative trial processes. Under the AIA, those reviews must be completed by the Patent Trial and Appeal Board (PTAB) within one year of filing. The proposed fees introduced in the NPRM reduce the cost recovery fee amounts that were effective on September 16, 2012. The public is welcome to review and provide comments to the USPTO regarding these proposed fee schedule changes. The AIA will hopefully restore the U.S. to its position as the global leader in intellectual property, empowering businesses large and small to enter the global market with innovative goods and services that will create U.S. jobs, increase U.S. exports, and grow the U.S. economy.